On Monday last, I gave a guest lecture on intangible cultural heritage for Scott Neilsen's Cultural Resource Management (CRM) course at Memorial University. I talked to the class about the five domains of ICH as defined by UNESCO, and gave examples from a Newfoundland and Labrador perspective. While talking about oral traditions and expressions, I challenged them with a couple traditional riddles, and then two students spoke up with rhymes that they had learned when younger. And dream my life away." Jackie thought it might be a riddle, but didn't know the answer. The rhyme is not a riddle at all, and neither does it originate on Fogo Island. 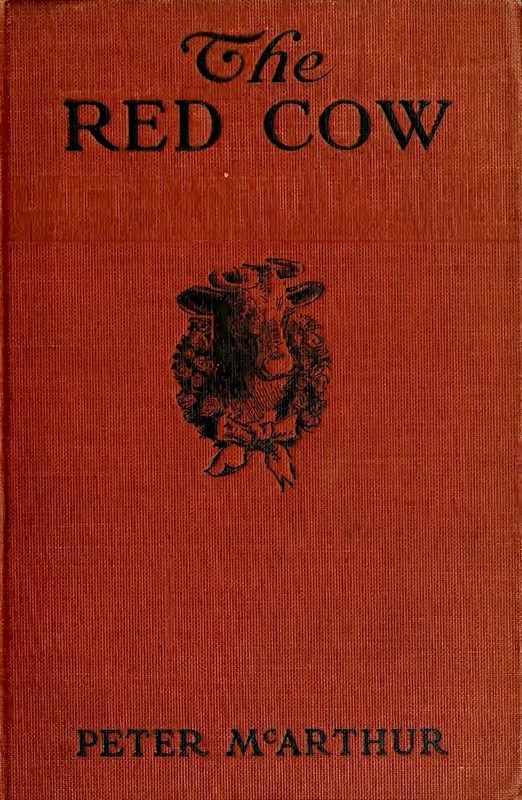 It is, rather, a quote from a book, The red cow and her friends, by Peter McArthur, published in 1919, in Toronto, Ontario, by J.M. Dent & Sons. 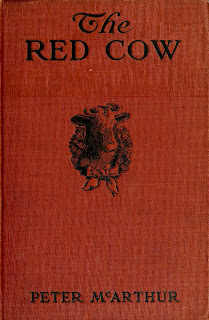 It is a fascinating book on farm life, with stories on sick cows, feeding pigs, racoon hunts, and horse contrariness. How a line of it came to be memorized by a young Miss Burke in Tilting is anyone's guess. Although the oak is my particular friend among the trees on the farm, there are others with which I can claim at least an acquaintanceship. There is a maple at the edge of the wood-lot that always makes me feel uncomfortable, because I have a feeling that it has a joke on me. It stands on what would be called rising ground " which means an elevation that does not deserve to be called a hill " and while lying on the grass in its shade I can see over several farms to the south and east. It used to be a favourite of my boyhood, and once I composed a poem while lying in its shade. If you bear in mind the fact that I was seventeen years of age at the time you will understand why the tree has a joke on me. Here is the only stanza I can remember of the little poem I composed to express the "unmannerly sadness" of youth. It long has been my cherished hope Upon my dying day To lie down on some sunny slope And dream my life away. At that age I could not have cherished the hope so very long, and the old tree must have chuckled to its last twig at my absurdity. Anyway, I never see the tree without recalling that wretched stanza, and I immediately hurry away to some other part of the woods. Got a piece of folk poetry stuck in your head, or a counting crow rhyme of your own? Leave a comment below, or send me an email at ich@heritagefoundation.ca.